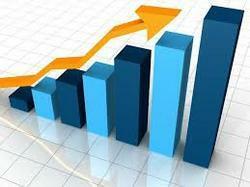 Sales is one of the most important function in all the organization, it helps the organization achieve its objectives. And we help the sales team become more effective. Boosting your performance is our business. We help advertisers drive efficient and effective marketing efforts—measuring and optimizing performance for better returns. We help media companies develop better content, maximize their ad inventory and grow revenue. A business strategy is a direction that an organization ought to pursue to achieve its business goals while Operational effectiveness is about having processes, resources & structure in the organisation in line with the strategy. - Better understanding of customer needs and requirements. - • Firm foundation for consultative, partnering customer relationships. - • Improved prospect-to-order ratio. - • Better return on lead generation promotion spend. - • Heightened sales force morale. We use creative and effective approach to deliver our work and fulfil the needs of clients. Improve sales policies and surpass your competition by adopting the right approach to sell. With a crucial understanding of the marketing tools, in this program, we help you identify the suitable target market and teach ways of conquering it. High-performance organizations relentlessly track consumer trends with sophisticated business analytics that deliver insightful data. Accenture’s tools complement a sales force’s intuition and experience enabling effective, fact-based decisions. At Positron we can assist you with Marketing and Sales Strategies and Implementation whether you are a large multinational or a small Entrepreneurial business working in either product or service sectors.